The draft Access to Information (ATI) bill, drawn up in 2016 after consultations between the Namibian government and civil society representatives, is yet to see the light of day. 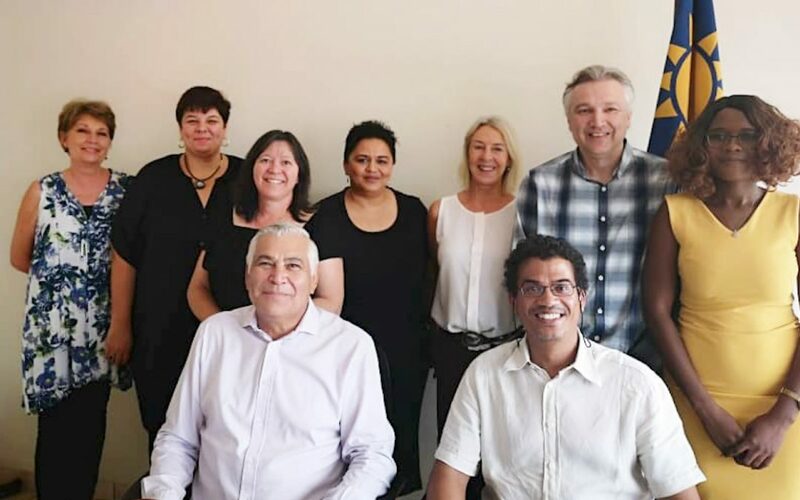 A delegation of civil society members, convened under the ACTION Coalition, today met with Ombudsman John Walters to discuss the status and content of the ATI legislation and how the process of promulgating a law may be sped up. The ACTION Namibia delegation comprised of Frederico Links (Chairperson, Institute for Public Policy Research – IPPR) Carola Engelbrecht (Citizens for an Accountable Society), Zoé Titus (Namibia Media Trust), Graham Hopwood (IPPR), Gwen Lister (NMT), Toni Hancox (Legal Assistance Centre) and Jane Mungabwa (ACTION secretariat). The Editors’ Forum of Namibia was not available to join the delegation. Copyright © 2017 The ACTION Coalition. All Rights Reserved.